The repeal of the Affordable Care Act (President Barack Obama’s health care law) is a real possibility in the Trump administration. It will be difficult to know how a repeal would affect workers’ compensation without having an idea about what alternative plan, if any, would replace the Affordable Care Act. But it seems certain that if Americans lose health insurance, they will have less control over their own medical care if they are hurt at work. The ACA is not a single-payer system, but millions of Americans gained health insurance through public Medicaid programs in states that chose to expand Medicaid after the Supreme Court struck down the mandated Medicaid expansion in 2012. This coverage was decoupled from employment. Insurance obtained through an exchange is also not tied to individual employers either. People who lacked health insurance tended to not have doctors, which meant that they had no choice but to see whomever their employer wanted them to for a work injury. The workers most vulnerable to injury are often the workers least likely to have health insurance. Younger people are more likely not to have health insurance. As Milwaukee lawyer Charlie Domer pointed out in a blog post last fall, younger workers are more likely to get hurt on the job. New employees are often unable to enroll in company health insurance plans right away. Last fall, I wrote a post about how employees within the first few months of their employment are more likely to get hurt on the job. A silver lining to the gray cloud of a prospective ACA repeal is that even if an employee loses health insurance, Nebraska workers’ compensation court Rules 49 and 50 still allow an injured worker to choose a doctor who treated them before – presumably when that worker had health insurance. Unfortunately, Nebraska did not expand Medicaid, so there would be a smaller proportion of Nebraskans of who gained health insurance under the ACA than in states, like Iowa, where Medicaid was expanded. This entry was posted in Uncategorized on March 9, 2017 by Leonard Jernigan. The Oklahoma Supreme Court’s decision to strike down the so-called “Oklahoma Option” in Vasquez v. Dillard’s was one of the biggest events in the world of workers’ compensation. Vasquez represents a growing trend by advocates for injured workers recognizing that workers’ compensation is a matter of constitutional law. But the Vasquez decision is important for other reasons. Though some commentators declared the defeat of the Oklahoma option was the death of opt-out, many justices on the Oklahoma Supreme Court who overturned the Oklahoma option would disagree. A concurring opinion contrasted the Oklahoma opt-out system with the Texas opt-out system. In Texas, employers are not required to have or “subscribe” to workers’ compensation. But if Texas employers do not subscribe to workers’ compensation, injured Texas employees can sue their employer in tort with all affirmative defenses stripped away. This encourages employers to carry workers’ compensation insurance. Nebraska has a similar law for agricultural employers who are exempt from having to carry workers’ compensation. Oklahoma’s “opt-out” created separate workers’ compensation systems: the state system under the Administrative Workers’ Compensation Act (AWCA) or the private systems under the Oklahoma Employee Injury Benefit Act (OEIBA), where employees were eligible for the same benefits but where employers could draft their own rules for eligibility. Regardless of whether an employee was covered under the AWCA or the OEIBA, employers still had to be covered under one system or another, and employees could not sue their employer in tort for work injuries. What doomed the Oklahoma option was the fact that unfair procedures under the OEIBA created separate but unequal workers’ compensation systems. The contrast between the now defunct Oklahoma option and the still-viable Texas opt-out system was reinforced when the Vasquez court rejected Dillard’s argument that Vasquez’s claim was pre-empted by the federal Employee Retirement Income Security Act (ERISA) law. Under the Oklahoma option, plans under the OEIBA were to be governed by the ERISA law. However, since OEIBA served as workers’ compensation and ERISA plans that serve as workers’ compensation plans do not pre-empt state workers’ compensation laws, the OEIBA was not pre-empted by federal law. In contrast, state law claims against employers on disability insurance plans who are “nonsubscribers” in Texas are pre-empted by ERISA. The Oklahoma option was struck down on equal-protection grounds based on the Oklahoma state constitution. Most other states have similar provisions in their state constitutions. In Nebraska, that provision is found at Article III, Section 18 of our state constitution. This provision concerns itself with disparate treatment in much the same manner as does the language of the 14th Amendment of the U.S. Constitution, which prohibits a state from making or enforcing any law that denies any person within its jurisdiction “the equal protection of the laws.” Distinctive Printing & Packaging Co. v. Cox, 232 Neb. 846, 443 N.W.2d 566 (1989). Even in a state without an equal protection clause in the state constitution, separate but unequal workers’ compensation systems could be likely be struck down on equal-protection grounds under the U.S. Constitution. Injured workers are sometimes subject to retaliation for bringing workers’ compensation claims. In 2013, the U.S. Supreme Court distinguished “discrimination” or “protected status” from “retaliation” or “protected activity” cases under Title VII and held that there was a higher burden of proof for employees bringing a retaliation case than for an employee bringing a discrimination case. However, if injured workers are thought of as a protected class, then discrimination in the form of termination should be thought of as a form of discrimination, and those claims should be subject to a more relaxed burden of proof than required in the Nassar case. This entry was posted in Uncategorized on January 5, 2017 by Leonard Jernigan. Four of the top ten cases in 2016 are from perennial offender California, three from Florida, one each from Massachusetts and Texas, and one involving 20 different states. The misclassification of employees by employers continues to create dramatic financial fraud, with resulting cost shifting, lost tax revenues and hardship to inured employees. As we noted last year, while the “gig economy” pioneered by technology companies has lead to debate about new classifications for workers, these companies remain subject to our laws. We are starting to see widespread litigation and settlements like Uber’s $100 million payment to disgruntled drivers in California and Massachusetts. We’ll keep tracking these new developments in the context of the misclassification and fraud actions that we’ve been tracking for many years. FedEx Ground Systems, Inc. has agreed to pay $240 million to resolve claims by 12,000 FedEx drivers in 20 states. FedEx was labeling the drivers as independent contractors to avoid paying additional taxes, fringe benefits, health care costs, workers’ compensation insurance, and much more. The drivers were also not paid overtime or reimbursed for expenses. Seven people have been indicted with 107 felonies in a business scheme designed to commit workers’ compensation fraud. The ringleader, Peyman Heidary, owned or ran numerous businesses, including law firms and health clinics, and used other people to disguise his involvement and create an illegal ownership structure. The clinics were found to have inflated billings to insurance companies by exaggerating patient injuries and treatments. The businesses fraudulently billed more than $98 million to 18 insurance companies, resulting in the businesses receiving over $12.4 million in payments. Lydia Taylor worked at the U.S. Department of Labor in Dallas and used her position to give her family members information about federal workers’ compensation claims and warn them when suspicions arose about their fraudulent billing. Taylor’s uncle, Tshombe Anderson, was the ringleader of the group. Anderson and others formed several businesses that fraudulently billed the federal workers’ compensation program $30 million for unneeded and unrequested medical equipment for rehabilitation patients. Orquidea Quezada set up Orquicely Construction LLC and used the company to process payroll for subcontractors who employed hundreds of people. In exchange for her services, Quezada kept a five percent fee. The scheme allowed the contractors to avoid paying payroll taxes, workers’ compensation insurance, and to conceal the employment of undocumented workers. Two men set up a shell company, Sunrise All Contractor Corp., to receive payments and cash checks for a fee on behalf of other companies that would then pay their undocumented workers. The scheme enabled employers to avoid workers’ compensation premiums and payroll taxes. These schemes are popular among employers of undocumented employees because these employees are less likely to blow the whistle on the fraud out of fear of exposing their undocumented status. The operator of Management Resources Group California LLC, Gregory J. Chmielewski used more than $7.3 million from the company’s reserve accounts for his own personal investments. The company managed another company, Independent Management Resources, which sold workers’ compensation insurance to California Indian tribes. Chmielewski’s actions resulted in the company being unable to cover 117 claims. Michael Harold Kreger, the owner of Michael Kreger Contracting was sentenced to 9 months in jail, 5 years of probation, 1500 hours of community service, and ordered to pay restitution of more than $5.4 million for underreporting his payroll and committing insurance fraud. Mr. Kreger cheated his company’s workers’ compensation insurer out of more than $5.4 million and his employees out of adequate protection for potential workplace injuries. Force Corporation, AB Construction Group, and employers Juliano Fernandes and Anderson Dos Santos were found by the U.S. Department of Labor to have misclassified the bulk of their employees to avoid paying overtime wages, workers compensation insurance, payroll taxes, and more. A consent judgment was entered requiring the companies and employers to pay more than $2.6 million in damages and penalties for their fraud. Co-owners Alvin Shih Chen and Fiona Chen of Metro Worldwide, Inc., a trucking company, underreported payroll by $4.7 million. The owners paid their truck drivers in cash to avoid reporting them to the insurer and to reduce their payroll obligation. While the company reported nearly $3 million in payroll to California’s State Compensation Insurance Fund, the actual payroll amount was $7.6 million. An estimated $2.1 million in premiums was lost. Maira Chirinos, the owner of construction company Tocoa Builders, Inc. misrepresented information regarding the company’s operations, employees, and payroll when applying for a workers’ compensation policy. The misrepresentations enabled Chirinos to avoid paying at least $1.8 million in workers’ compensation premium payments. An investigation found Chrinos grossly underreported payroll to the insurance company. She reported a payroll of $76,000, but more than $11 million in payroll checks were cashed during the period covered by the policy. This entry was posted in Uncategorized on December 30, 2016 by tembow. What Could You Possibly Know About Your Own Disability? Today’s post comes from guest author Roger Moore, from Rehm, Bennett & Moore. Statements about whether or not an individual’s impairment(s) functionally equals the Listings. It’s easy to understand how discounting a treating source could adversely affect applicants for disability. These physicians have the most interaction with their patients in terms of frequency and duration of involvement. When you contrast a treating physician’s opinion with a doctor chosen by the SSA who most often never even meets or speaks with the claimant, you can see the problem. Putting these two entities on the same footing legally seems misguided at best and purposefully devious at worst. However, when you add in that the SSA will not use an individual’s statement of symptoms as a basis for finding disability, particularly in the mental-health field, you make proving disability a much more difficult proposition than it already is. Individuals who are applying for disability typically face difficulty seeing doctors on a regular basis due to obvious financial considerations. They often cannot afford the “objective” tests to fully explore the extent of their diagnoses. Moreover, there are no objective tests to diagnose depression, schizophrenia, anxiety, etc. The very nature of these claims requires a thorough examination of the claimant’s expression of disability to diagnose, evaluate and treat. The SSA cannot possibly ignore the claimant’s accounts of their disability and do an adequate job of evaluating these claims, especially the ones based upon mental illness. The SSA needs to jettison these proposed rule changes, and stick with the controlling weight standard that has been in place for 25 years. Furthermore, they need to allow the judges to evaluate claimant testimony without rigid rules that discount their personal evidence. To comment on the SSA proposal, follow this link: Regulations.gov – Docket Folder Summary and press the “Comment Now!” button. Comments are due Nov. 8 (next Tuesday, aka Election Day). Please contact an experienced Social Security Disability lawyer with specific questions about the details of your case. This entry was posted in Uncategorized on December 29, 2016 by Leonard Jernigan. A federal judge in Texas recently issued a temporary injunction against the Fair Pay and Safe Workplaces Executive Order. The order would have required contractors applying for federal contracts to disclose any violations of most federal and state labor and employment laws within the last three years in order to receive a federal contract over $500,000. In an opinion criticized by employees’ groups and hailed by employers’ groups, U.S. District Judge Marcia Crone criticized that the Fair Pay and Safe Workplaces Executive Order overstepped executive authority on a number of grounds, including the fact that the forced disclosure violated the First Amendment rights of government contractors. The order amounted to defamation of certain contractors, which violated their Fifth Amendment liberty interests, and the order’s restriction on the use of arbitration agreement in employment contracts of federal contractors violated the Federal Arbitration Act. Crone also wrote that the executive order violated congressional intent in how labor laws were enforced, because it forced contractors to settle labor and employment law issues in order to remain eligible for government contracts. But in my mind, abstract concerns about the rights of contractors pale once actual people are considered. I represented a gentleman who was fired from a federal contractor after he complained about not being paid properly. In fact, he was chased off the premises by the owner of the company with a stun gun, and the Nebraska Equal Opportunity Commission found in a public hearing, after hearing evidence from both sides, that the company, Midwest Demolition, had retaliated against my client. Earlier this year, Midwest Demolition paid a settlement through a consent decree to the U.S. Department of Labor for not paying their employees overtime. To me, the Fair Pay and Safe Workplaces Executive Order is perfectly suited to deal with egregious employer misconduct. Judge Crone did not order an injunction against enforcement of the paycheck transparency parts of the executive order, which would require federal contractors to inform workers if they were independent contractors and to fully and clearly explain deductions. The Fair Pay and Safe Workplaces Executive Order is the latest example of the use of executive-branch rule-making to expand employee protections. Earlier this year, the Supreme Court upheld a Department of Labor regulation expanding wage and hour protections to home health aides after it withstood a court challenge from employers. The Occupational Safety and Health Administration’s attempt to limit post-work injury drug testing is currently being challenged in federal courts. Executive rule-making is a consequence of partisan gridlock when Democrats control the presidency and Republicans control Congress. Pundits and political forecasters are anticipating more political gridlock after the election, so executive rules that withstand court challenges could be how employee rights expand for the foreseeable future. This entry was posted in Uncategorized on December 19, 2016 by Leonard Jernigan. I Can’t Do My Old Job, So I Qualify for Disability, Right? It’s not uncommon for workers to expect to qualify for disability when they are unable to work in a job that they have held for years. The question becomes does that mean they are disabled under Social Security Administration rules? As in most cases in dealing with the law, the answer is maybe! For workers under the age of 50, applicants must prove that they are also unable to obtain any work in the general economy, even if they can’t do their typical jobs. This includes unskilled work, and the SSA makes no distinction for what type of pay cut a worker must accept to remain gainfully employed. For instance, let’s assume a worker was earning $20 an hour as an electrician, but could no longer handle the rigors of that employment. If that person can do a minimum-wage job full time or at the level of substantial gainful employment as set by the SSA, then a person is not considered disabled under the SSA rules. Many people are surprised that the SSA would require this. Even if jobs don’t exist within the current labor market, the SSA would require a worker to move herself to a larger market to continue to be employed. For individuals over the age of 50, the primary question is did they acquire skills from prior employment that would enable them to transition into other employment areas. If those skills would allow the worker to transition to alternate employment, then they are not considered disabled. If those skills are too specialized and don’t easily transition to alternate employment, the worker may very may well be disabled, according to SSA rules. This entry was posted in Uncategorized on November 7, 2016 by Leonard Jernigan. 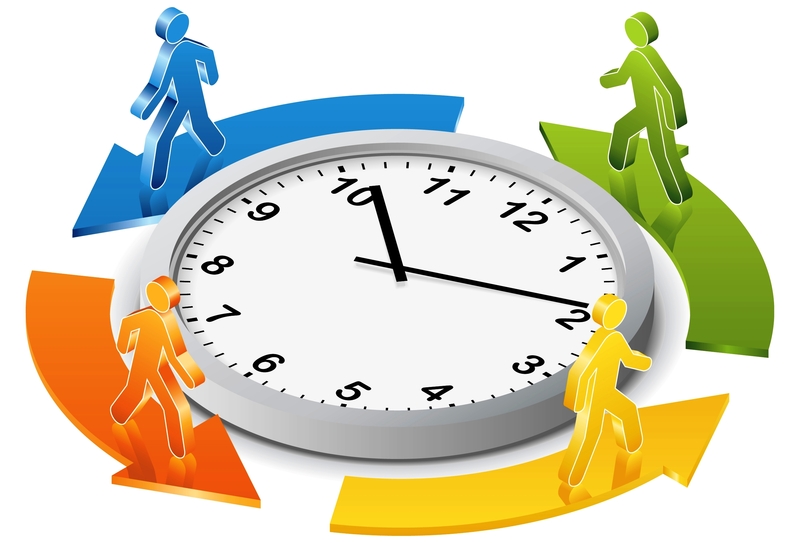 What can we do about shift work? Today’s post comes from guest author Jon L Gelman, from Jon L Gelman LLC. There has been a lot of research published in the past few years around the effect of shift work and our health since the World Health Organisation classified night shift work as a probable carcinogen back in 2007. In 2012 research for the HSE estimated that the additional breast cancer risk associated with night shift working would have translated into about 2,000 extra cases of breast cancer (out of a total of about 43,200 in Britain) in 2004. That would mean around 550 additional deaths and makes it the biggest occupational killer after asbestos. A study in 2013, based on 2,300 women in Vancouver found that women who worked night shifts for 30 years or more were twice as likely to develop breast cancer. More research was published this week on the link between shift work and cancer. The new one comes from researchers in the Netherlands and Germany and appears to support previous research suggesting a link between night-shift work and breast cancer. Although this research is in mice it is important because it provides the first experimental proof that shift work increases breast cancer development. This entry was posted in Uncategorized on October 10, 2016 by Leonard Jernigan. Today’s post comes from guest author Rod Rehm, from Rehm, Bennett & Moore. Many have heard the cliché that an ounce of prevention is worth a pound of cure, and that is especially true when it comes to workplace safety. Following up on last week’s Workers’ Memorial Day commemoration, this week is National Safety Stand-Down to Prevent Falls in Construction. The lawyers here are prepared to help injured workers and their loved ones because of their experience in workers’ compensation and other issues related to workers and personal injury. But is frustrating to realize that all too often, incidents that result in workers’ injuries on the job could and should have been prevented. With a goal of reaching 5 million workers, or over half of the country’s construction workers, the Occupational Safety and Health Administration’s voluntary event this year “focuses on ‘Fall Hazards’ and reinforcing the importance of ‘Fall Prevention,’” according to the National Safety Stand Down website. “Falls continue to be the construction industry’s leading cause of death; each year, hundreds of workers die and thousands more suffer catastrophic, debilitating injuries. Despite these chilling statistics, the absence of proper fall protection remains the violation cited most frequently by federal safety inspectors,” according to this news release from the U.S. Labor Department. Both of the pages linked to above include good resources for employers and workers to explore and consider for their workplaces to bring greater safety awareness to construction zones, regardless of what’s being built. Please contact an experienced workers’ compensation lawyer if you have questions about a specific situation that you or a loved ones has encountered. Have a safe and productive month. This entry was posted in Uncategorized on October 3, 2016 by Leonard Jernigan.